Modern Philology and Evang. Theology in Tübingen, Basel and Reading/UK. For 30 years, he served in different ministries in the Evang. Church in Württemberg. He is now one of the prayer leaders on the national level with emphasis on Politics and Society. Within the framework of the prayer initiative, Call of the Watchman he publishes The Political Page monthly, which treats a current political theme, attempting to understand it from a godly point of view, followed by guidance for prayer. 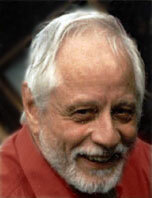 Ortwin Schweitzer is the author of several books, including his latest, Germany  my love (2003). The main theme in this book are the causes for the shame of the Germans, for their broken national identity and how, through Jesus Christ, forgiveness and a new beginning is possible. This book gives hope for Germany and the assurance that Germany will never again be a curse but rather a blessing for people. Prayer Dynamics Ministry is not an own organisation but just the name of the supporting ministry of Ortwin Schweitzer. As a spiritual father he supports and encourages younger learders in their ministry especially on the field of national prayer. He is leader of the Adoramus Fellowiship and co-leader in the network of the "Call of the Watchman". The Adoramus-Fellowship has existed since 1990 and is a group of committed Christians living in the Württemberg area (southern Germany) It is their goal, out of the strength of a committed fellowship, to implement renewal in the church and society. The Fellowship supports, among others, Ortwin Schweitzer's ministry of national prayer. The Call of the Watchman is a prayer initiative that arose, not from Adoramus, but in a free-church, an initiative in which Ortwin Schweitzer is a leading co-worker, which is definitely supported by Adoramus. The Call of the Watchman unites over 200 localities in Germany in which Christians from various churches are willing to pray for Germany and Europe around the clock for 24 hours on a given day of the month. To help align and give the prayers direction, the leaders compose a monthly prayer-letter based on current events, which is sent to the groups and is also available in English.